Start by making the pastry: rub the butter in to the flour until the mixture resembles fine crumbs. Add cold water tsp by tsp until there is JUST enough to bind the dough together in a soft ball. Wrap in clingfilm and put in the fridge to chill for 30minutes. Preheat oven to 200 C and lightly grease a 12-hole cupcake tin. Roll pastry out on lightly floured surface. Using a glass or round cookie cutter, cut out 12 circles, rerolling the trimmings as necessary and use them to line the cupcake tin. You might need to roll out each circle a little more after cutting them so that they cover the cupcake holes. Gently press the pastry in to each individual cupcake hole using your fingertips or knuckles so that you don’t any holes in the pastry. 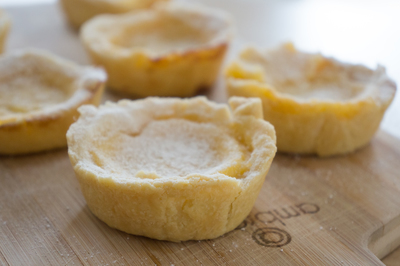 Use extra pastry to fill in any holes you may have in your tart cases. Whisk the custard ingredients together in a jug and 3/4 fill the pastry cases. 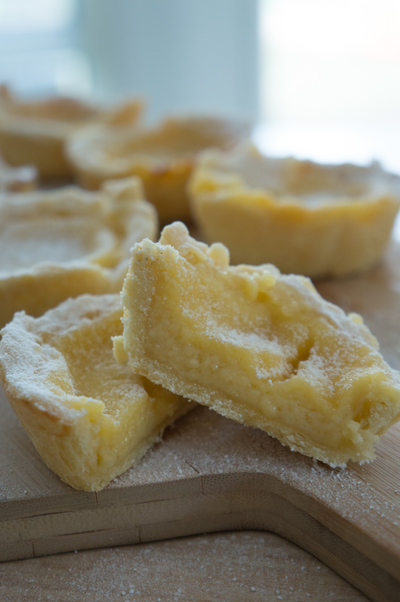 Bake the tarts for 15-20 minutes or until the custard has set and the pastry is golden and crisp. 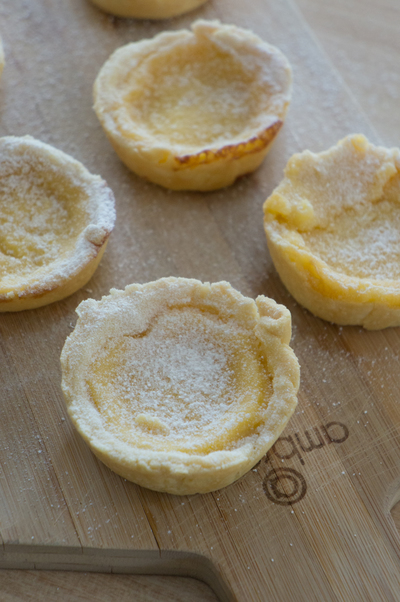 Let tarts cool in the tin for a while before removing. Serve warm or cold dusted with icing sugar.